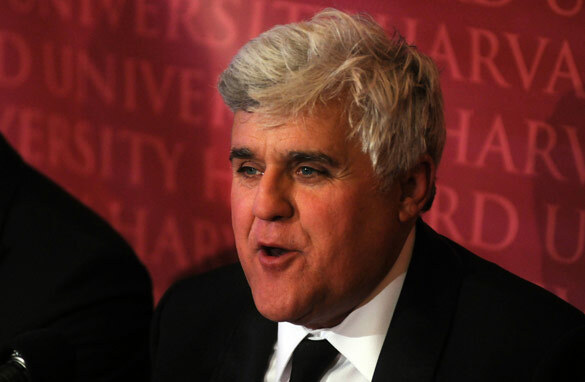 Jay Leno is a stand-up comedian and host of “The Tonight Show," a popular, late-night TV talk show. He has interviewed many of America’s biggest celebrities and politicians – from Justin Bieber, Paris Hilton and Beyonce, to Barack Obama, George W. Bush and Sarah Palin. President Obama’s appearance on the programme was the first time a sitting US President had been interviewed on the late-night TV talk show circuit. Another key moment came in 2003, when Arnold Schwarzenegger announced he was moving into politics. Leno has done voiceovers for cartoons like "The Simpsons" and "South Park" and had cameos in episodes of "Friends" and "The West Wing." Who would you vote for next year between Romney and Obama? Is America in decline? Can it come back? Who is the most unpleasant guest you have interviewed in your career? Which up and coming comedians can you one day imagine handing your show over to? Do you regret anything about what happened with Conan O’Brien? Mr Leno, Ethics for Network TV is a must, when this page can call me by tagging and give an active link on my name for inquiry... The comment error however is a personal dislike in operation over Global Supreme Commander tackling the Madness at Core in System Test Area Arnhem Nederland. I knew I had to deal with enemies but to confront me and have nothing to use in any legal System against my independent input on No cure no Pay 2 % standing charge for Myself as Solution Architect and accelerator on Solutions in Progress. Jay as a stand up comedian and composer in Poetry and Music I have no day in a rythm that only beats Google's 'Drums of Madness' a Live Machine spontaneous Concert at Presikhaaf Building site 2010 Laan van Presikhaaf Parking lot behind the condemned appartment buildings... never did I allow a second concert to break out in my City where my life a torment for me in itself as a non person without human rights or a platform to fork out my wealth stuck at Yale University Faculty Economy defended by unregistered Chase Bank online.... How would Jay Leno feel, that CNN uses his comic profile to express it's dislike for my jokes????? After all who is the judge of good taste at CNN in default function as recipient of technology, and at the same time biting the hands that feed the station. Like a lot of rock musicians, you're a big bike and car lover. If you could put together a band (of any size) with some of those bike and/or car lovers, who would you choose? Piers Morgan has been able to transfer his appeal from the UK to the USA, yet David Letterman was unable to transfer his from the US to the UK. If you were gifted with the opportunity to have your own TV show in London, what, if anything, would you modify to ensure your success? Jay, you have a great career and people like you. It was reported that you don't have kids. Are there moments when you regret your decision not to have kids?